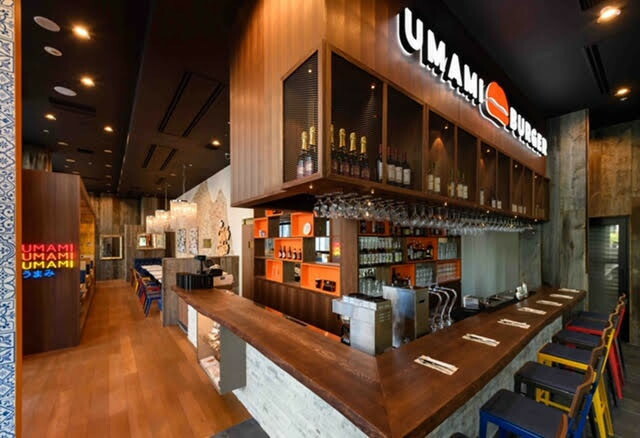 Umami Burger announced the opening of their second location in Japan, Umami Minatomirai. This newest location is in partnership with Japanese-based Medeiros Holdings Co., Ltd., with which the gourmet burger brand has plans to deploy 10 more locations across Japan by 2020. Sam Nazarian, Founder & CEO of sbe, states, "We are extremely excited to announce the opening of our second Umami Burger in Japan. sbe's global expansion is representative of the brands continued growth and success as a hospitality and culinary industry leader. We are eager to bring our iconic restaurant to the Japanese market." Paul Medeiros, Chairman of Medeiros Holdings, states, "We are very proud to open a second Umami Burger in Tokyo, and moreover to continue our successful partnership with sbe. The Japanese market is having a strong reaction to Umami Burger and its offerings. We are looking forward to further growing the brand in Japan." Located in the Kanagawa prefecture of Tokyo, Umami Minatomirai is in Minato Mirai on the first floor of the Center Building (3-6-1 Minatomirai, Nishi-ku, Yokohama-shi, Kanagawa-ken, 220-0012). The 1,600 sq ft location is a design collaboration between sbe's Dakota Development and Medeiros Holdings that features 47 seats with design details including natural wood, leather and pops of color to give it that "Umami" flavor. It is the perfect partnership of East meets West where the space exemplifies the spirit of a global brand with a local flare. Guests will enjoy a welcoming ambiance with the iconic Umami Burger Japanese art and neon signage on display. The announcement of Umami Burger's latest restaurant opening follows news of the debut of five new menu items nationwide and the company's exclusive partnership with Impossible Foods. Umami Burger has exciting plans to open four franchise locations in Mexico City this year with massive international expansion in the near future including 40 more locations in Mexico, 10+ in Japan, as well as outposts in the UAE and Qatar. The first location in Japan opened in March of 2017 in a neighborhood outside of Tokyo called Aoyama. The highly anticipated second location celebrated its grand opening on September 22nd where Umami Burger Minatomirai gave away t-shirts to the first 200 guests during the first three days of opening. Daily hours of operation are from 11:00am to 10:00pm. The restaurant is located on the first floor of the Center Building at 3-6-1 Minatomirai, Nishi-ku, Yokohama-shi, Kanagawa-ken, 220-0012 and can be reached via telephone at +81453073480. In addition, guests can find Umami Burger swag at the Minatomirai location featuring branded plates, cups and t-shirts. Are you with Umami Burger? If you are a member of Umami Burger you may be interested in learning how to optimize your content on our network.